God has a goal for every person and that is to become just like His Son Jesus Christ. Jesus Christ is the image of the invisible God (Colossiasn 1:15). Man was originally created in God’s image. Genesis 1:26,27 And God said, Let us make man in our image, after our likeness: and let them have dominion over the fish of the sea, and over the fowl of the air, and over the cattle, and over all the earth, and over every creeping thing that creeps upon the earth. But man walked after his own will instead of God’s. When Adam had children, those children were no longer in the image of God. The wages, or payment, of sin is death. In order for man to have eternal life, he needed to be saved. A penalty had to be paid. For man to be saved, another man, who did God’s will and did not sin, had to give his life in payment for man’s sin. But nobody from man’s bloodline could ever be perfect enough to fulfill this requirement because sin is “in the blood.” It’s passed down from generation to generation. Every person since Adam has inherited Adam’s “sin nature” which disqualifies everyone from fulfilling the role of redeemer. Jesus Christ was born and lived his life in obedience to God. He obeyed God where Adam disobeyed God. Jesus Christ gave his life in payment for all mankind’s sins. Anyone who believes in Jesus, confessing him as Lord and believing God raised him from the dead, shall be saved (Romans 10:9). This is equivocal. Man is saved by grace, not works. If you’ve confessed Jesus and you believe in your heart that God raised Jesus from the grave, you shall absolutely be saved. You received the gift of holy spirit which is called “incorruptible seed” making you a child of the living God. You were what the Bible calls “born again.” The Greek word for “again” means “from above.” You were born from above — God is your Father by way of the seed He planted in you when you believed in His Son Jesus. You were “born again” into God’s family. Being conformed to the image of Christ is a transformation process. Through the power of holy spirit within you, you can live your life so that you imitate Christ’s perfect life. You don’t do this on your own, your Father is here to help through his gift of holy spirit within you. The transformation you are gong through, and if you are a Christian then you certainly are going through this process, occurs by the “renewing of your mind.” Your mind is renewed by learning God’s Word which is His instruction manual for life. The more you read, understand and “put on” the Word of God, the more you are transformed “into the image of Christ.” and the more power you have in your day-to-day living. God called you, justified you and will glorify you at the return of Jesus Christ for his own. One day Jesus will return to gather his own and at that time you will be fully transformed into his image, including receiving a new, spiritual body. You will be just as Jesus is now, a spiritual person with immortal life. God has called you to be conformed to the image of His Son. 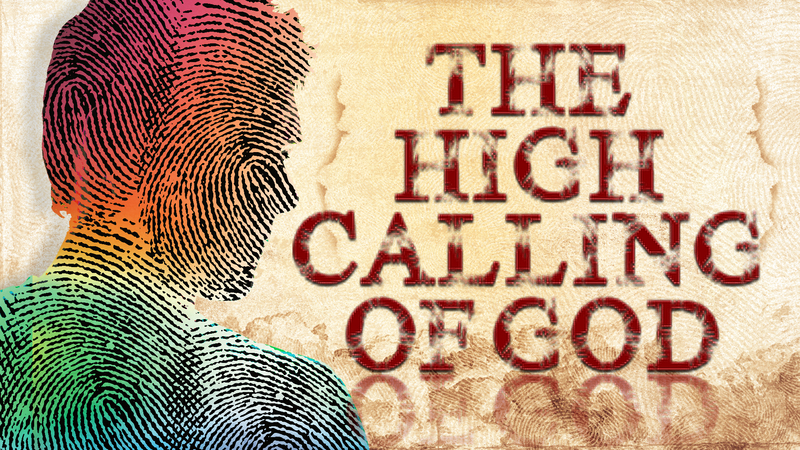 This is the “high calling of God in Christ Jesus.” Let’s read about it from God’s Word. I press toward the mark (goal) for the prize of the high calling of God in Christ Jesus. My question to you today is, are you becoming more like Jesus Christ from day to day? Are you being conformed to the image of God’s only begotten Son Jesus by renewing your mind to God’s Word? It’s easier than you might think to do this. You do it one thought at a time, that’s all. Kick out the untrue thoughts and reinforce the true thoughts by putting God’s Word on in your mind and heart. Once God’s Word is in your heart, your life will resemble Jesus’ more and more. One big key given in the Word of God to make this process quicker and easier is right here in Philippians 3:13. It says “forgetting those things which are behind…” Holding on to your past or condemning yourself and/or others for the circumstances you were in, is a great hindrance to becoming more like Jesus. Always remember that God has forgiven you fully in Christ Jesus and you appear righteous to Him because He looks at you through Christ. When you are born again you are once again, spiritually, in the image of God. Now God wants you to work that out in your daily living. He wants to see the fruit of the seed He planted within you. Any good Father would, right? Of course. He’s highly interested in His children and mankind is at the top of His list. Being once again in the image of God spiritually, all you need to do is grow in grace and in the knowledge of our Lord Jesus Christ. Here’s a section in Peter that describes how this transformation process works. By which are given unto us exceedingly great and precious promises: that by these you might be partakers of the divine nature, having escaped the corruption that is in the world through lust. And to godliness brotherly kindness; and to brotherly kindness love. For so an entrance shall be provided unto you abundantly into the everlasting kingdom of our Lord and Savior Jesus Christ. I asked you whether you were becoming more like Jesus Christ, day by day. My statement to you is that you can rise to the high calling of God in Christ Jesus by renewing your mind to God’s Word and putting it on in your words and deeds. Take one day at a time and keep your eyes on the goal of the prize of the high calling of God in Christ Jesus. One day you are going to be just like Jesus — fully like him. That won’t happen until he returns and gives you your new glorified body, but until then know this. You are called to glory. Your high calling of God in Christ Jesus is yours to pursue and your Lord Jesus Christ, through the spirit born within you, is ready and willing to help. In fact he is urging you on every day, comforting you when you need it, strengthening you and guiding you.